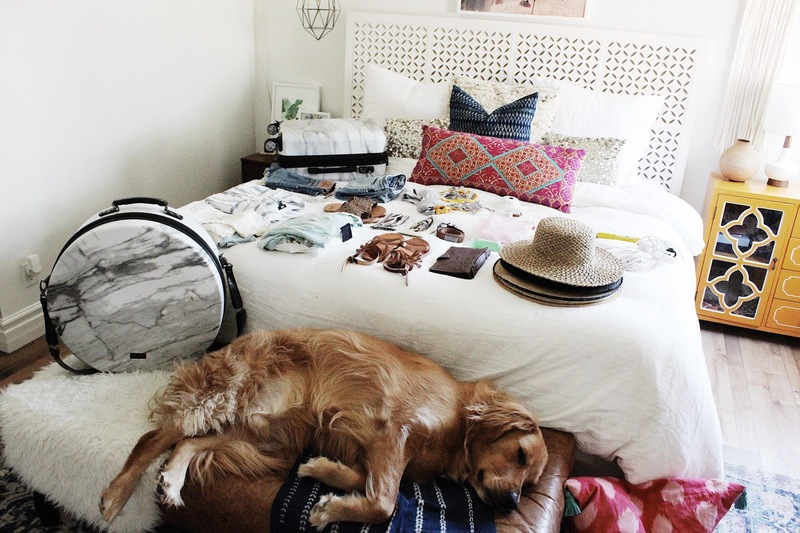 Weekend getaways are sorta my thing - and my family (which includes my Husband and my golden retriever Sampson. We try and escape to Palm Springs at least once a month. I feel like packing is always a stressful thing! 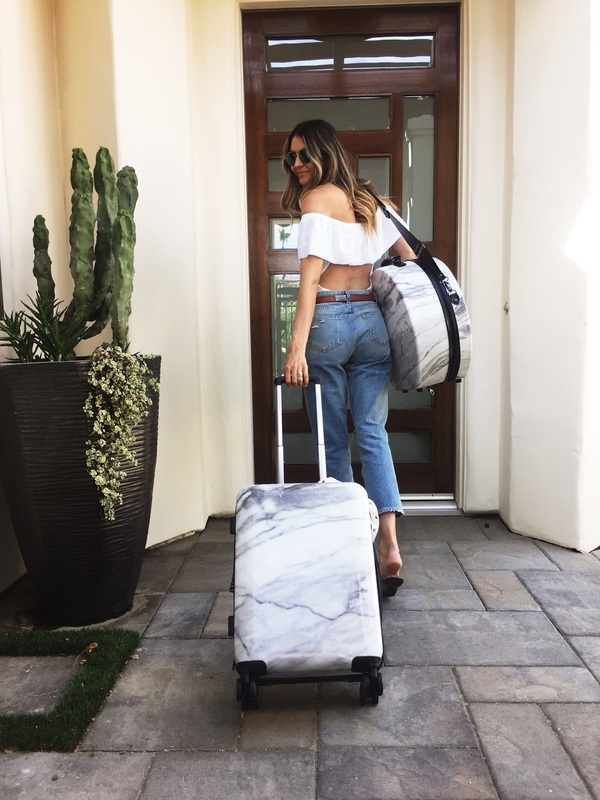 Thats why I try and keep it simple and easy with a few quick tips that make sure you don't forget something and don't overpack too much haha! I am such a list person - and if you're aren't maybe you should try it! 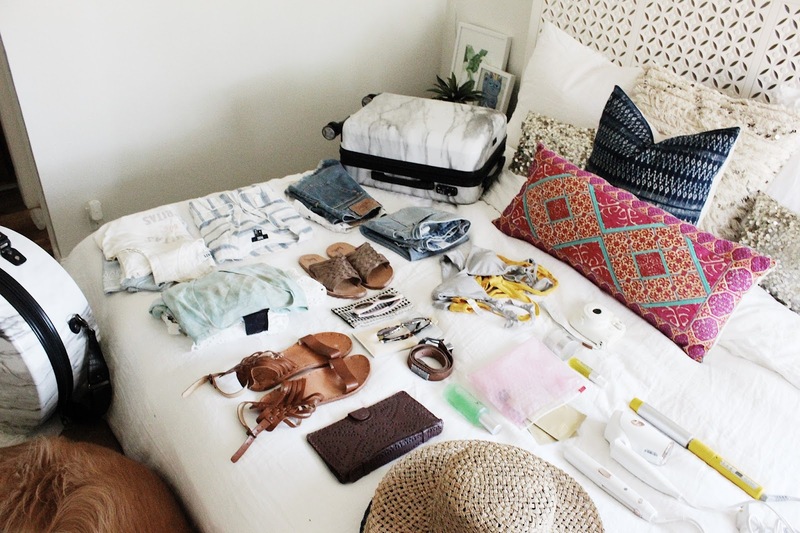 I keep mine pretty simple : What to pack? Don't forget... Make sure to remember... you get the idea. 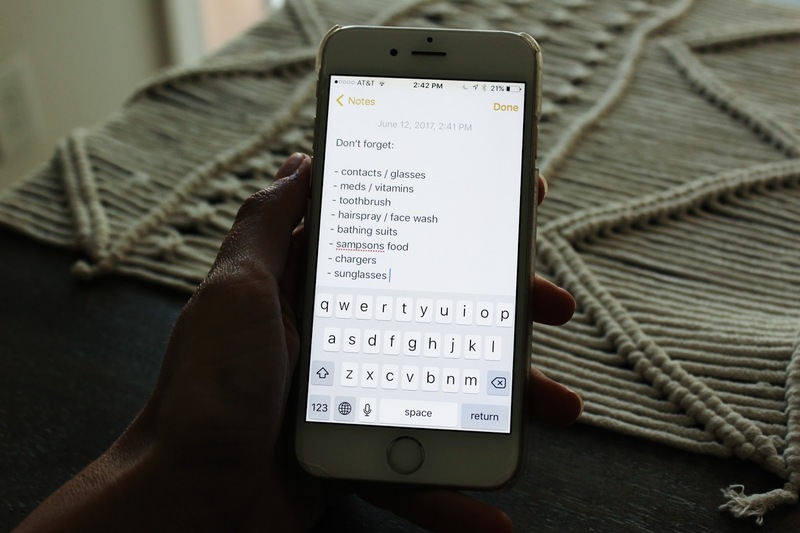 I keep the list pretty easy with the necessities - the items you will be so mad at yourself for forgetting. Next, I start to lay out off my items. I group then out into outfits and then put items on the side like shoes that can go with multiple looks. 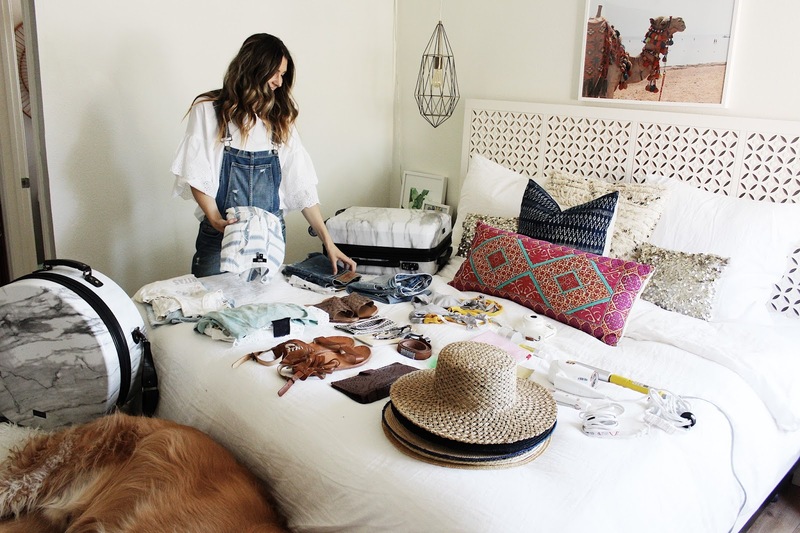 This helps me see what I'm packing from head to toe and how many outfits I have packed. Sometimes you might realize you have way too many outfits, this is an easy way to eliminate the bottom of the totem pole items. This is probably one of my favorite tips. 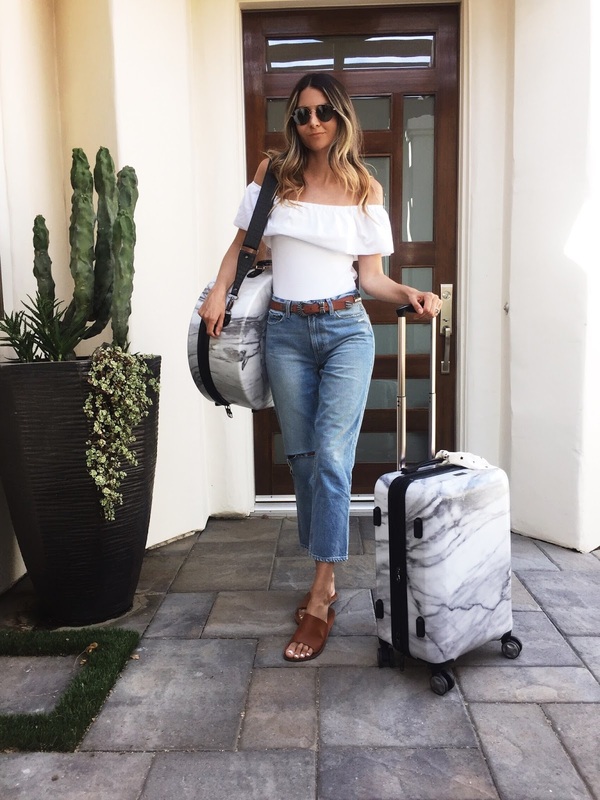 When you pack, pack in outfits. 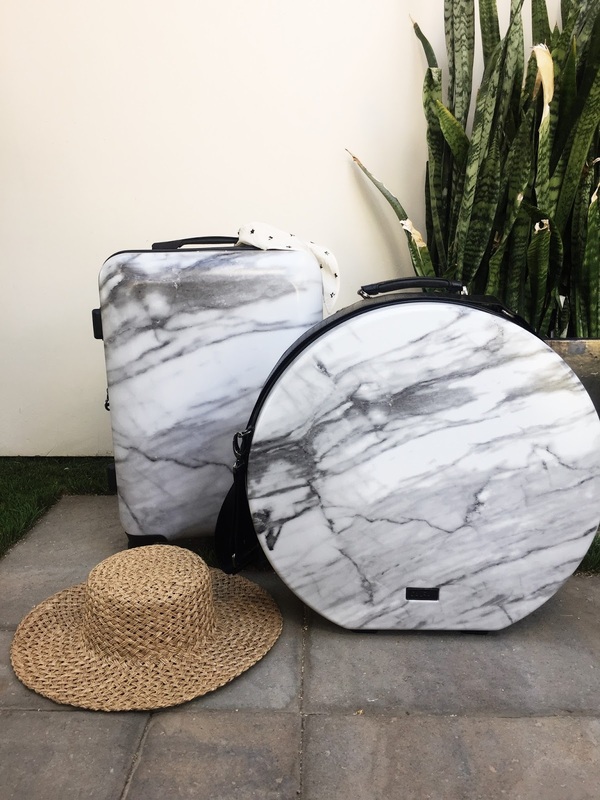 This will be so much easier if A. you want yo pack your suitcase when you arrive to your destination or B. leave it all in your suitcase and grab you look as you get dressed. By grouping them together you are one step ahead and you don't have to rethink any of your looks. 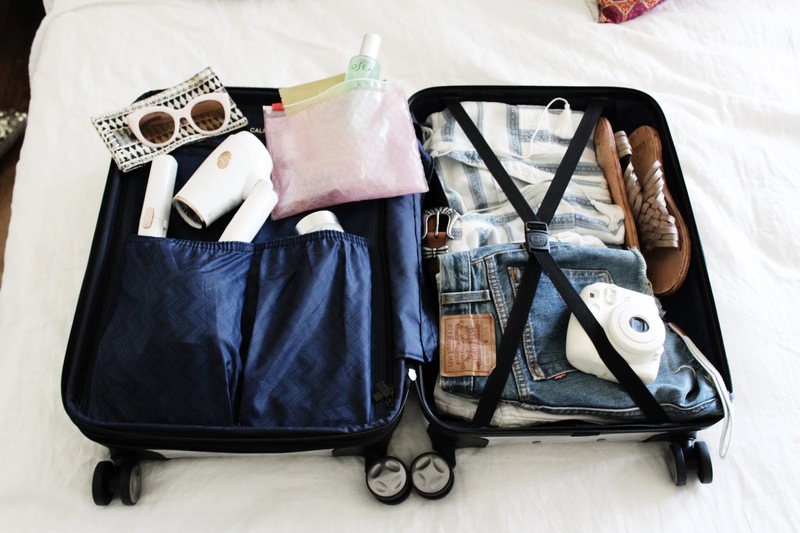 The carryon suitcase by CALPAK makes this so easy. There is so much room and different compartments so everything feels like it has a home! 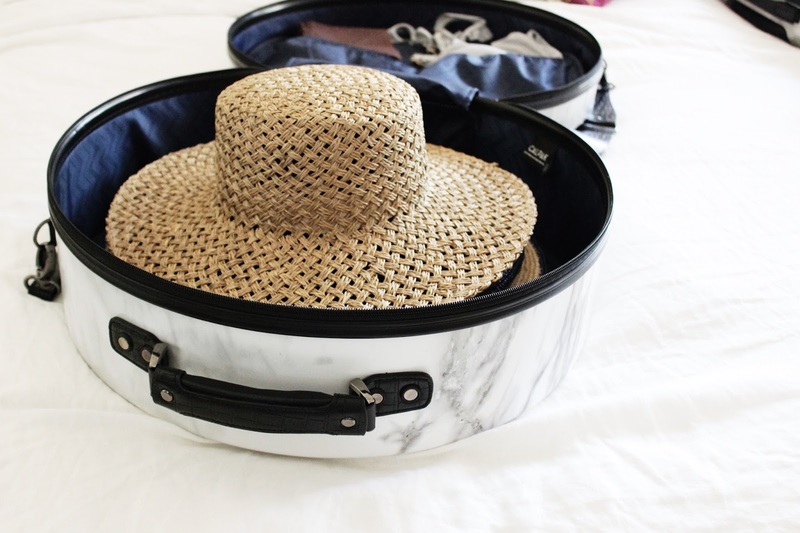 If you're a hat hoarder like me, then this new CALPAK hat box will change your traveling life! No more stacking multiple hats on top of your head, or making sure they don't get smashed when you're traveling. This hat box is GOALS! I opted for the large hat box because I have so many wide brimmed hats. It also comes in a smaller option. A little tip is to put your shoes on the bottom of the box then the hats on top. I also packed all my swim suits in the 2 compartments that are on the inside of the hat box. 5. NOW RELAX YOU'RE ALMOST ON VACATION!